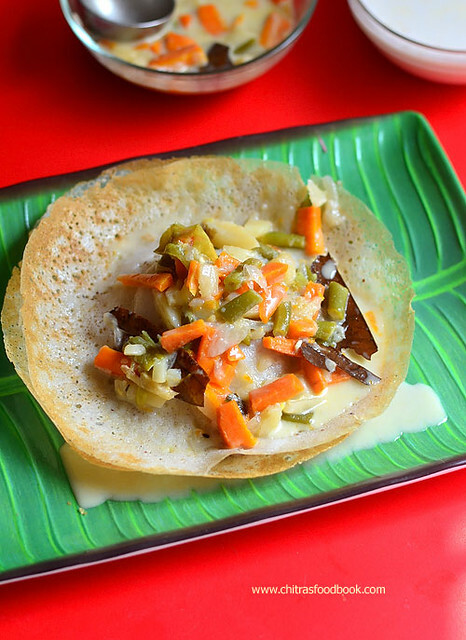 Vegetable stew also known as Ishtu is one of the most popular side dish recipes served for Appam and Idiyappam/Noolappam in Kerala. I make appam at least twice in a month for breakfast as it is our family favorite. 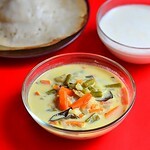 Usually I make mixed vegetable stew, potato kurma/ paya or onion chutney as side dish for appam. I learnt this stew recipe after watching a cookery show by a Chef in Raj TV. He addressed this recipe as “Restaurant style Vegetable Stew”. I got attracted by the title and wrote down the recipe in my cook book. Its a very simple & healthy vegetable stew recipe that looks colorful with awesome flavor and rich taste of mixed vegetables, coconut oil & coconut milk. I made this stew in pressure cooker to make my job easier.So its color was pale white but it tasted great. 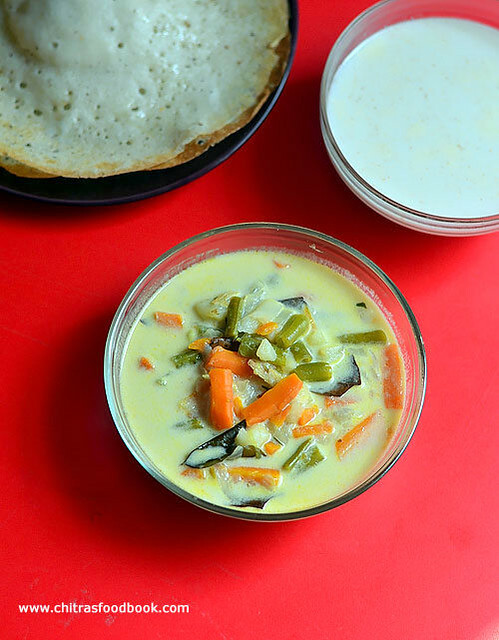 We loved it a lot with appam.This veg stew post was lying in my drafts for long time.So I thought of bringing out today. 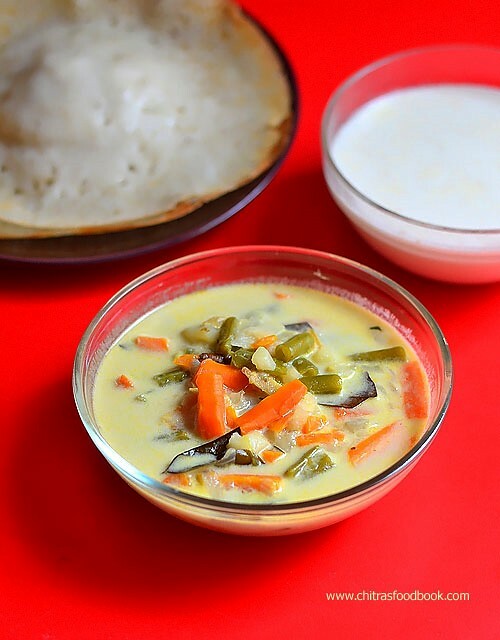 Friends, do try this easy, Kerala style vegetable stew recipe at home & relish it with appam or idiyappam for your breakfast. For variations, you can use potato instead of mixed veggies and make it as potato stew. Ok lets see how to make vegetable stew with step by step photos ! 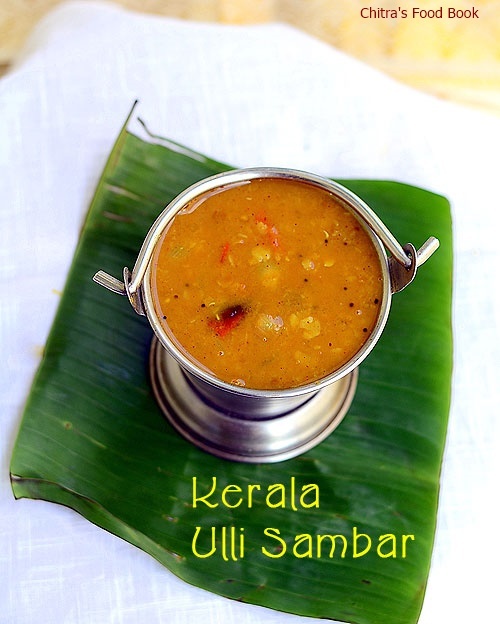 Check out my other “Kerala Recipes” too! Grate or chop 1 coconut into pieces. Grind to a smooth paste adding 1 cup of water. Strain the thick coconut milk and keep it in a bowl. Again grind the coconut adding 1 cup of water.Take the second milk by extracting it. Keep in another bowl. Wash and chop the vegetables of 1 inch length. Slit the green chilli, slice the onion.Chop the ginger into small pieces or slice it thinly. Heat coconut oil in a pressure cooker base. Saute bay leaf, cinnamon, cloves. Add thinly sliced onion, ginger pieces and slit green chilli. Saute till onion turns transparent. Make sure color of onion stays white and not brown. Then add the chopped mixed vegetables, a big pinch of sugar and saute for a minute. Sugar helps to retain the color of vegetables.Add the required salt and the second coconut milk.Mix well and close the cooker. Cook for one whistle in very low flame. It takes 7-8 minutes.Open the cooker after the steam is released.Veggies would be cooked soft. Now add the thick coconut milk now and give one boil.Check for taste, add more salt if needed. Switch off the flame. Garnish with curry leaves and set aside. Give a standing time of 15 minutes and serve with appam/idiyappam. Add more green chilli for spicy taste. 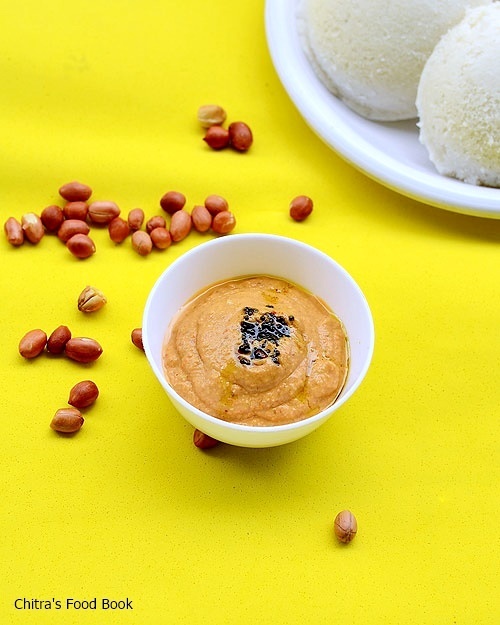 Add cashew paste for thickness and richness to the stew. Grind 6 cashews and add the paste. This stew has a mild masala flavor. Coconut oil is very important for tempering. Do not skip it. 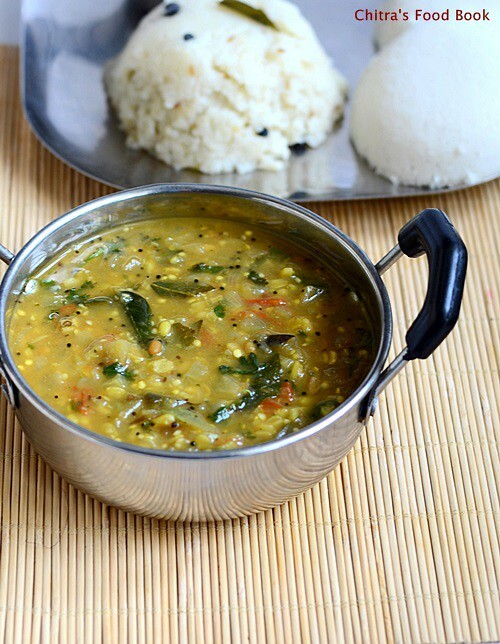 Try this Kerala style vegetable stew with appam and enjoy !! 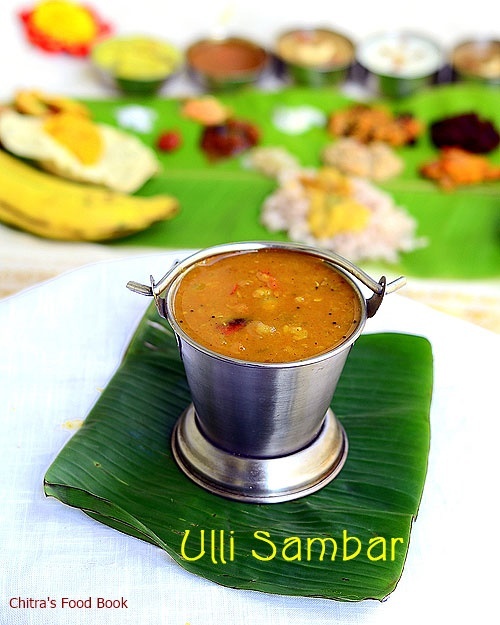 Last week I tried this Udupi hotel sambar recipe for idli and that too without onion,garlic brahmin version after years.I came across this recipe in “The Hindu” Food safari section.The recipes I have tried from that section is always a super hit in my home.The best example is my soft kulcha recipe.The taste & cooking method of this udipi sambar is very close to my Hotel idli sambar using freshly ground sambar powder.So Sendhil & myself liked it a lot and relished with idli,dosa .Try this recipe if you are looking for a no onion no garlic side dish for idli,dosa & pongal.You will love it !Lets see how to make this Karnataka Udupi's most popular sambar recipe with step by step pictures. 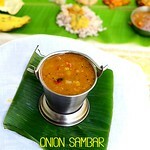 I am a big big fan of brinjal recipes (Kathirikkai in Tamil). But Sendhil & Raksha are just opposite to me. 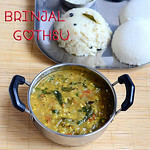 So I make brinjal dishes only when my in-laws visit my place.This morning, I made this easy brinjal gothsu recipe learning from my MIL.Its a very easy, one pot brinjal gosthu recipe.In this method,u don’t need to roast & powder the spices as we do for Chidamabaram kathirikai gosthu.The procedure of this brinjal gravy is very similar to my MIL’s Thanjavur style tomato gosthu.We usually make this as a side dish for Idli. 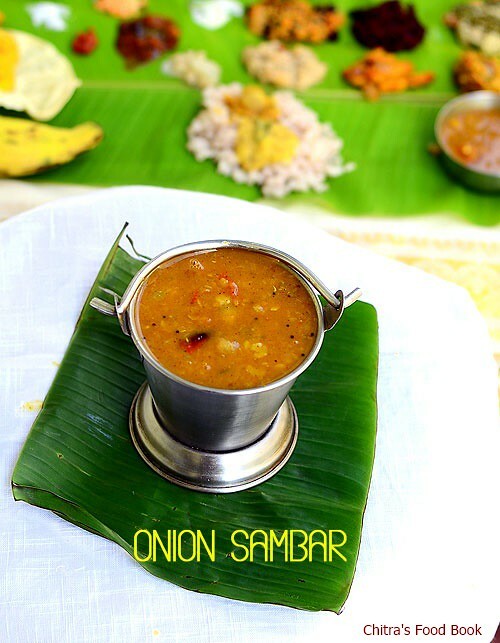 But recently I had tasted this with pongal too.It was yummy.Its a great recipe for bachelors & working women who look for easy side dish recipes. All you have to do is just chopping,sauting & pressure cooking, Tada! This gravy would be ready under 15 minutes. Just try once, you will come to know. My MIL makes it watery as we like it that way. Here I have made it slightly thick to suit pongal. 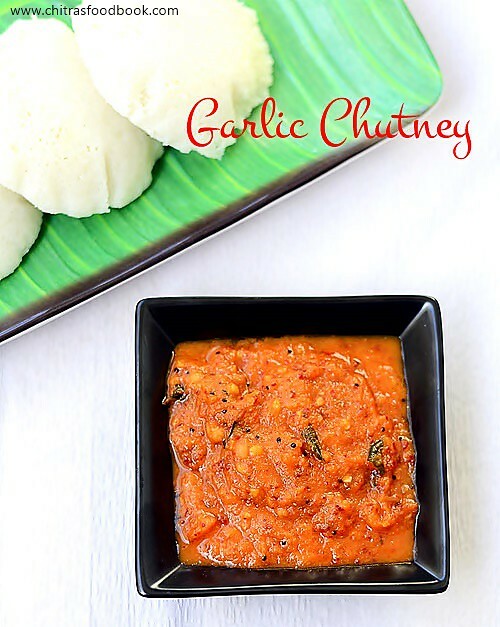 Finally,the consistency is your choice.Lets see how to make this yummy kathirikai/Brinjal gosthu recipe for idli and pongal. Wash and chop the brinjal into small squares.Soak in water till use to prevent discoloration.Similarly chop the onions,green chillies finely. Heat oil in a cooker base.Splutter mustard seeds,urad dal & chana dal.Then add the finely chopped onions,green chillies,curry leaves & hing.Saute till onion turns transparent. Now add the finely chopped tomato pieces & brinjal. 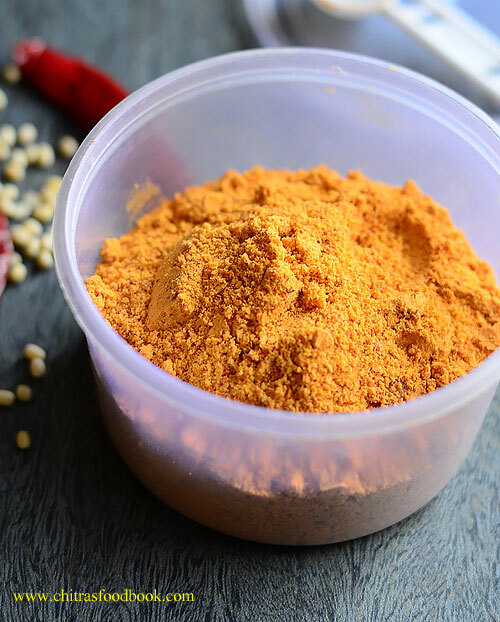 Add some salt and saute till tomato turns mushy.Lastly add the tamarind extract and moong dal.Mix well.Add little turmeric powder,required salt and water. Pressure cook in low flame for one whistle.After the steam is released,mash everything well.No problem if some dals are visible.Its enough if its just cooked & blossomed.Then add the idli/dosa batter or rice flour diluted in 1/4 cup of water.Mix well & allow the gravy to boil till it thickens lightly.Make it slightly thin if using for idli & thick for pongal.Garnish with lots of coriander leaves.Serve hot with idli or pongal. 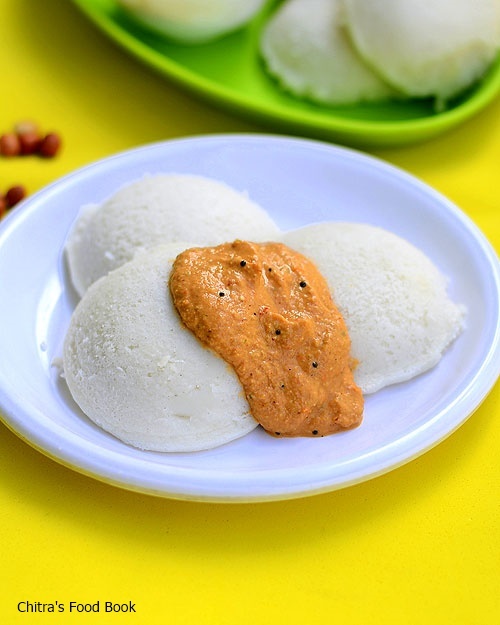 If u are serving for idli,add sesame oil/gingely oil while eating.It tastes great. Add more chillies based on ur taste. 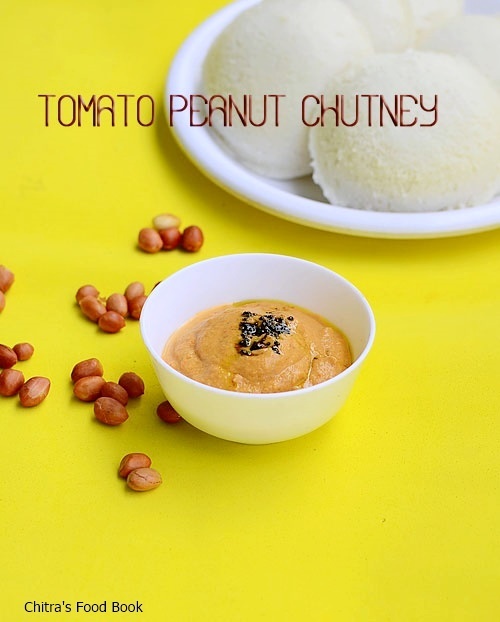 This recipe is completely different from chidambaram gosthu.So it tastes mildy spicy and tangy. 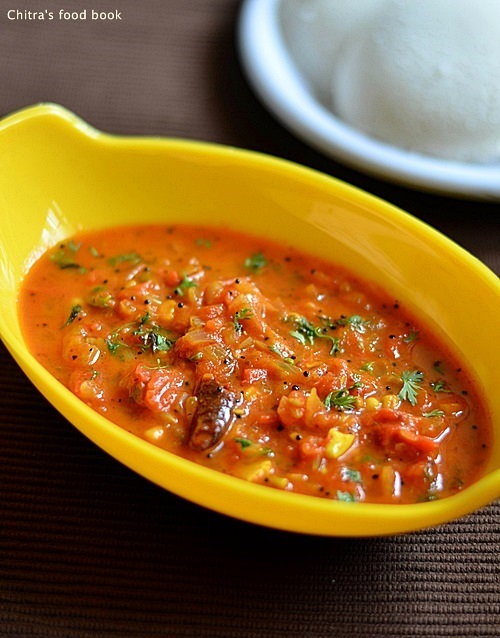 Adding idli/dosa batter helps to thicken the gravy.U can also replace it with rice flour. Garnishing with coriander leaves gives a nice smell. 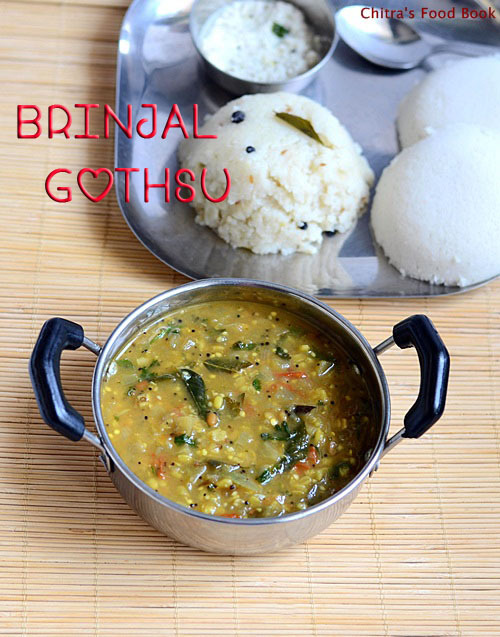 Enjoy this yummy,easy brinjal gosthu with idli or pongal ! 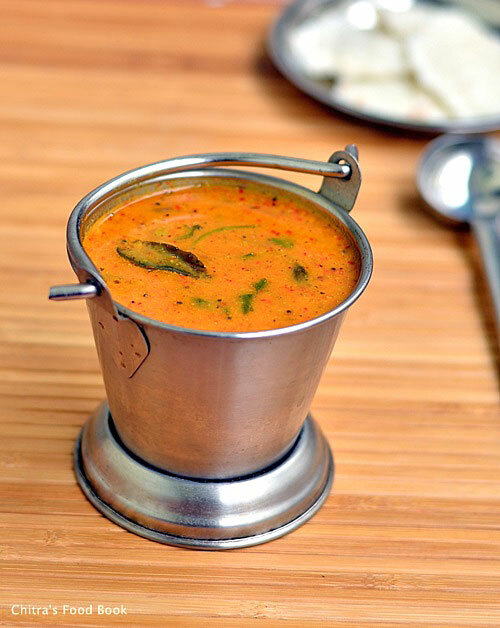 Is there anyone in your house says NO to this simple yet yummy onion tomato thokku recipe when you make it as a side dish for idli,dosa and chapathi ? No One, right ?? But in my house,both dad & daughter says BIG NOOOOOO when i make this as side dish.Basically i am a great fan of tomato recipes especially tomato thokku.I can have more than 10 idlis when my mom makes this as a side dish.After marriage,i have tried it many times following my mom’s recipe using Bangalore tomatoes.Sendhil & Raksha used to have it by showing odd faces .So i completely stopped preparing it for years.Recently i watched Vijay tv’s samayal samayal with Chef Venkatesh Bhat in which he showed Neer dosa with this chutney (he mentioned this recipe as onion tomato chutney) as side dish.At that time,my in-laws were here in my place & they had brought ripe naatu thakkali ( Tangy tomatoes ) from Salem,Tamilnadu.My MIL told me to try this thokku for breakfast as they love it very much like me.I too tried hopelessly thinking Sendhil & Raksha won’t like it.But to my surprise,they both loved it a lot and Sendhil said “ Its good & tasty” for nearly 4-5 times and had two more idlis too .I was wondering what made the difference between this version & my mom’s version.Is it the addition of garlic or the tangy Tamilnadu tomatoes,something has made the magic and this recipe was a super hit among my family.Thanks a lot Chef .I have done it thrice so far but only with naatu thakkali( In Bangalore they call it as “Naatti”).Friends do try this recipe using naatu thakkali if u have in hand,even thokku haters would love it for sure.For tomato lovers,Bangalore tomatoes would do !! 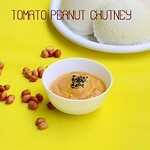 Check out my Easy tomato thokku recipe without onion & garlic if interested ! 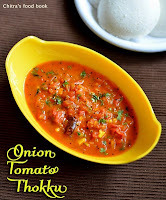 Onion tomato thokku recipe - A very tasty side dish for idli,dosa n chapathi ! Wash and chop the tomatoes and onions very finely.Heat oil in a kadai and temper all the ingredients given under “ to temper” in the same order. 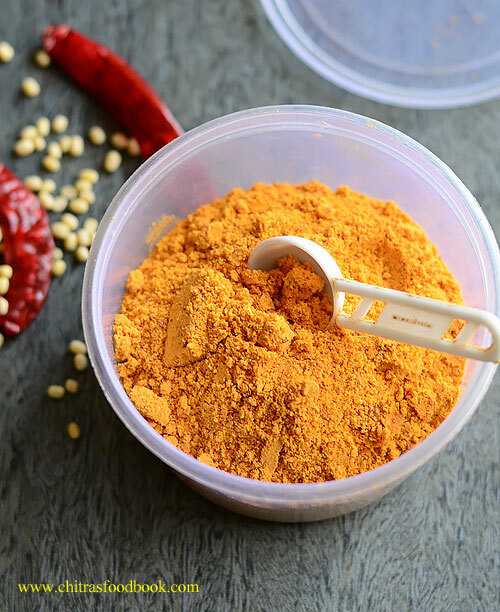 Add turmeric powder,red chilli powder,hing and sugar.Mix well for a minute. Then add 1/2 cup of water and let the mixture cook well for few minutes.Switch off the flame when the mixture is slightly wet with little water because it will become too dry when it cools down.So switch off the flame at the right time..Remove and add chopped coriander leaves. 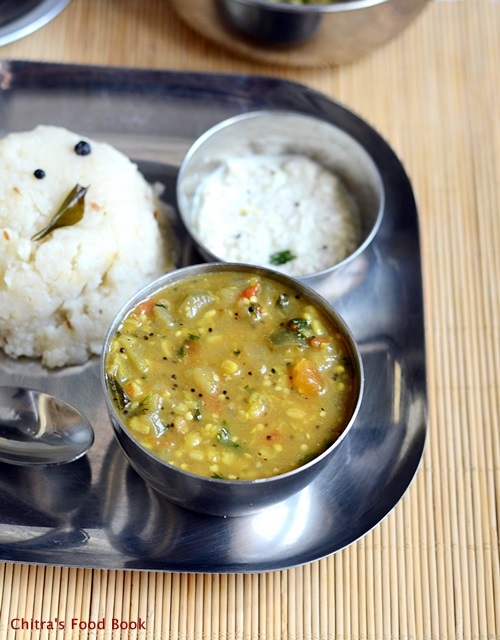 Enjoy with idli,dosa and chapathi ! Use ripe tomatoes for best results. 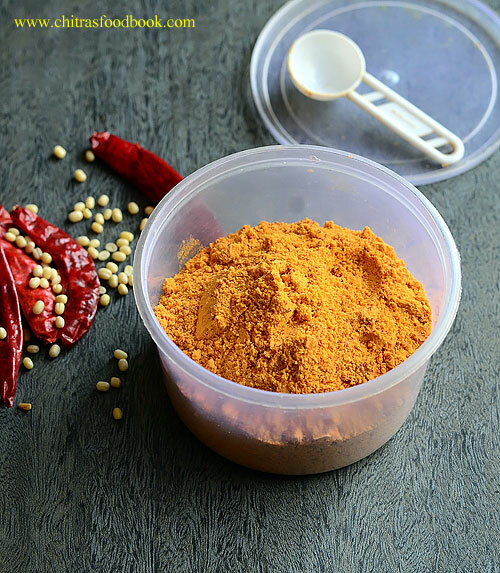 Adjust the quantity of chilli powder as per your spice level. Adding a pinch of sugar helps to balance all the taste.